I am writing from Caracas, Venezuela. 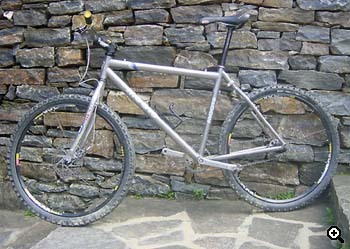 I would like to send you a writeup of my fixed Moots YBB. I was able to set it up fixed using the resources of your page and a lot of luck... I am running a challenging low 36/26 with vertical dropouts, using a normal 8spd KMC chain. Tomas Drew-Bear is a biker from Caracas, Venezuela. 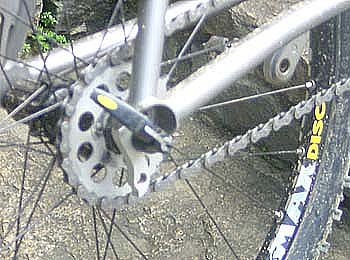 ...and check Jason's classic How To on converting disk hubs for fixed gear use.